This introductory class will be a teaser if you want to try out the sport of agility. 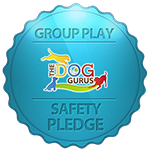 For dogs aged 5 months and up, we will start you out with some foundation skills for learning agility. This class moves quickly, so be ready for action! Check out what this sport is all about! Dogs dig it, and their people love it.